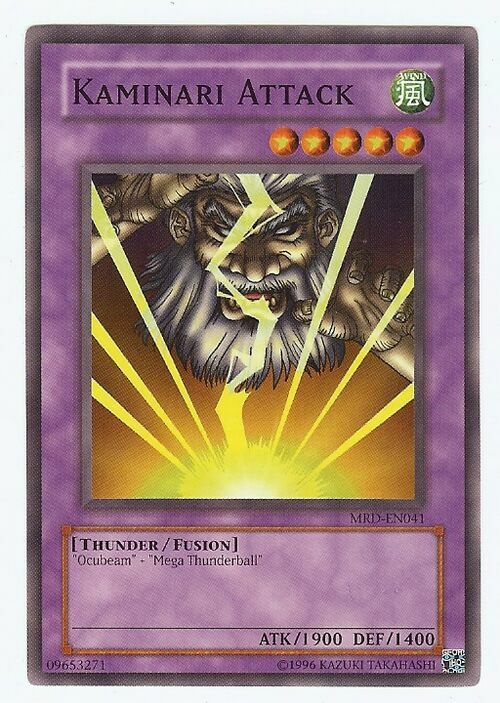 The card's TCG name comes 雷 (Kaminari), meaning thunder. Yu-Gi-Oh! The Duelists of the Roses and World Championship video games) show the full body of Kaminari Attack, and as its Japanese name suggests, the monster's appearance is similar to that of the Nordic god Thor. 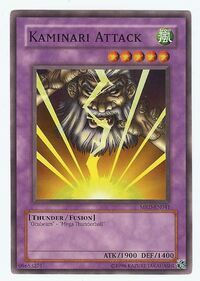 This card is also similar to most depictions of Zeus, the god of thunder in Greek mythology.